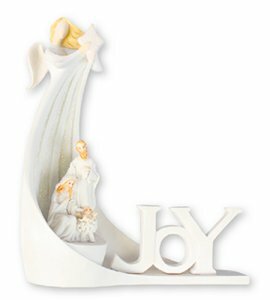 DIVINE CHRISTIAN GIFTS - Christmas Angel Nativity Star. Christmas angel nativity star with light Holy Family. Measures 7 3/4" made from resin comes boxed.